Local restaurants are donating food. When budgeting for the AT&T USA National Diving Championship, providing food visitors was an expensive task. 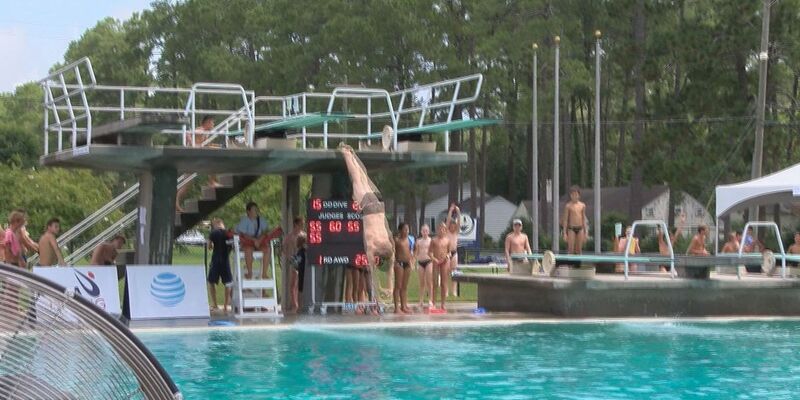 But local restaurants such as Waffle House, Chick-Fil-A, Zaxby's, and Krystal have stepped in to donate meals for the coaches, officials, and USA Diving Staff. Public Relations and Volunteer Coordinator Becca Turner said the love these restaurants are showing reflects the love Moose Moss had for this community. "So much of it comes from the love that he brought to this diving facility and the fact that this is such a huge event," Turner said. "Everybody has really embraced the amount of visitors that this has brought to our community." Downtown restaurants are also offering coupons and staying open late for visitors.